Introduction to SPSS Statistics in Psychology gives you a straight-forward way of learning to carry out statistical analyses and use SPSS with confidence. 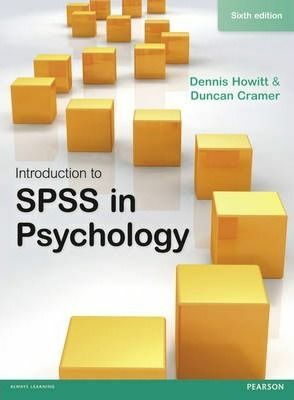 This edition is fully updated to include the latest version of SPSS Statistics, and covers the same wide range of statistical tests that made the previous edition such an trusted guide. Clear diagrams and screenshots from SPSS version 22 make the text suitable for beginners while the broad coverage of topics ensures that you can continue to use it as you progress to more advanced techniques.